Our goal at Precision Professional Services is to provide you with the best materials and the best craftsmanship available. With 30 years experience in home remodeling and renovation, you can trust that your home improvement project will be done right. 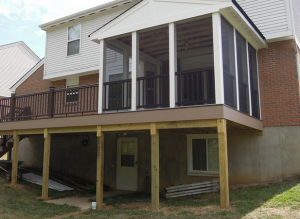 We specialize in decks, screen porches, sunrooms, and additions as well as roofing, kitchens, and bathroom remodeling. All of our work is insured and guaranteed to meet each and every one of your needs. To see a full list of our exceptional services, visit our services page. To view examples of our beautiful work, click here for remodeling and renovation photos. Contact us today to get started on your next home remodel! Call (513) 739-2662.